The price of insulin is too high for many across the globe. For type I diabetics, who must take insulin every day to survive, and roughly 30% of type II diabetics, this issue constrains their quality of life. Worse still, diagnosis of diabetes is on the rise. 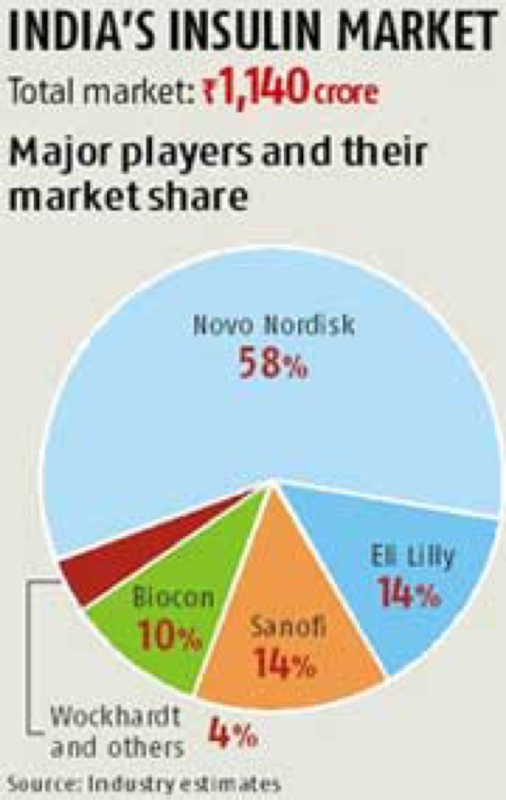 Currently 92% of the insulin market is produced by 3 pharmaceutical companies. In economics, this kind of market share is called an oligopoly. In these kinds of markets, generic or biosimilar insulins have a hard time breaking through, simply due to the enormity of market share that the other three own. To make things just a little more difficult, clinical trial expenses and regulatory licensing means that very few small to medium sized manufacturing plants can enter the market. Because of these constraints, the insulin market has spiraled out, and as such, insulin is largely unaffordable and inaccessible across the board. Find out More Info About these Solutions By Clicking on Their Box! Rather than a single entity attempting to build a factory, allow individuals and businesses to invest in the manufacturing of open-source medication. This could be done through a few other options, like designing a public stock exchange for investment into manufacturing plants. The scheme could provide a return on investment following drug approval, investors receive their money from dividends. Individuals invest in a company based on the companys previous return on investment, otherwise known as dividends. For this business model to work, the return on investment that our investors would receive must be relative to the risks of the trials not working. These two points together suggests that the biosimilar market would be ideal for testing this business model, as no novel applications are involved. Insulin pumps have been designed already to remove the need of needle injections following meals by diabetics. These pumps however have been designed to function with a single company's insulin, which means that your insulin determines the pump brand that you use. Recently, there has been a calling for an open source insulin pump which is universal to all insulins. Furthermore, continuous glucose monitoring in the cloud has recently become an open source system, could be integrated in with the insulin pump to remove the day-to-day stress of blood-sugar control. The technology could be modified to serve the whims of a totalitarian regime…however this is the case with all science these days. Doesn’t really impact any issues of inaccessibility to insulin felt by a large portion of diabetic globally on its own. Insulin pumps are specialized for a single insulin, which also means that a specific insulin would need to be designed for it. Unless of course the pump could be designed to universal, but we are unsure as to how this would work. These insulin pumps are extremely complex medical device, may have to be reverse engineered with long term patents still covering a significant portion of these technologies. Following a standard business model, a patented insulin could be taken to market following the completion of relevant clinical trials. Upscaled purification protocols would be needed to ensure efficiency and to meet cost-effective price points. The new business could either license an existing manufacturing plant to produce the insulin, OR could design a new manufacturing plant to leverage new technologies. If the later option were chosen, Good Manufacturing Practice approval and upkeep would be needed. Likely need about US$20m for a medium-scale facility, which will still have little impact on the global insulin supply. Initial investment will leave manufacturer vulnerable to a price war if price drops suddenly. Good Manufacturing Practice licenses would cost around US$100M, with additional yearly costs required to maintain this status. We could rethinking the road to market for open-source medicine. Rather than a single entity attempting to get approval for a patent, allow individuals and businesses to invest in the clinical trials of open-source medication. Public stock exchange for investment in the approval of open-source medication. Once the drug is approved, investors receive their money and dividend from manufacturers. Return on investment must scale the with relative risk of the medicine’s chance of making it to market. Return on investment must be less than the current return on IP earned by pharmaceutical entities (else the price of drugs will increase). Bathtub insulin would provide small-scale insulin manufacturing and purification equipment to local doctors in developing nations. This system, alongside suitable training for skilled medical professionals would help to create a grassroots pharmaceutical industry that could expand to benefit neighbouring countries. Regulatory and Safety Nightmare. Puts way too many people at unnecessary risk. Considering economies of scale, it may be worth skipping this entirely and focusing on large-scale manufacturing projects in newly industrialised nations. The profits will not benefit developing nations, but the industry efficiency would hopefully mean that they gain access to more affordable insulin. Capitalist governments are often reticent to invest in public infrastructure due to current economic theory. However, John Maynard Keynes1 would argue that this is an excellent way to create economic growth. Socialist governments would also require significant lobbying in order to convince the right people that investment is important. Medical advertising industry is enormous and employs a lot of individuals. In addition, this would require pharmaceutical companies to pass on the cost savings to the consumer, which has been proven in the banking sector to be unreliable. Low-income nations struggle to negotiate with pharmaceutical companies valued at more than their national Gross Domestic Product. Burden of responsibility is on the United States and Europe to introduce cost efficiencies into the market. The true solution to Diabetes is a cure, rather than endless treatment. Long and tiresome research to continue on from what progress has already been made. Clinical trial expenses will also be required to trial a potential gene therapy. Difficult to match rate of secretion to the requirements of the body. Difficult to engineer two-way signaling from gut to blood and back to gut again. Risk that bacteria may become pathogenic through mutation rates. Releasing GMOs into the environment may cause unforeseen adverse reactions. Risk of transferring to non-diabetic individuals. This could result in a number of reactions when insulin levels are normal in the blood that would need to be carefully examined prior to release into the community. Prior to the production of Human insulin, pig insulin was often used to treat diabetes. Returning to older animal insulins to supply developing nations with cheap insulin is an option, but unambitious. The production process involves running animal blood through a form of dialysis to purify the insulin out for human use. Recent developments in the breeding of chimeric animals (e.g. with a human insulin gene) could significantly reduce the chance of an allergic reaction. Higher rate of allergy to animal insulins than regular human insulin. Human insulin manufacturing with economies of scale should be cheaper to manufacture. Animal insulins only seem like a viable alternative due to the artificially high prices. We could potentially go rogue from the normal entry to market options and start producing insulin on the black market. This option would not require any approval processes for processes used to make insulin, and could be sold online through trading sites such as Ali Baba. Regulatory oversight wouldn't’t be used either. Will put patients at serious risk if Good Manufacturing Practice is not met. Legal risk for manufacturer if anyone is harmed through use of the insulin produced. 2. How to bring our solution to fruition. Importantly, in improving the situation of inaccessible insulin to different countries, public investment appears to be the most effective and efficient way of reducing costs to diabetics. Although this method is clearly beyond our reach and relies on governmental reform; we investigated the role of current government practices in insulin subsidisation from different demographics. 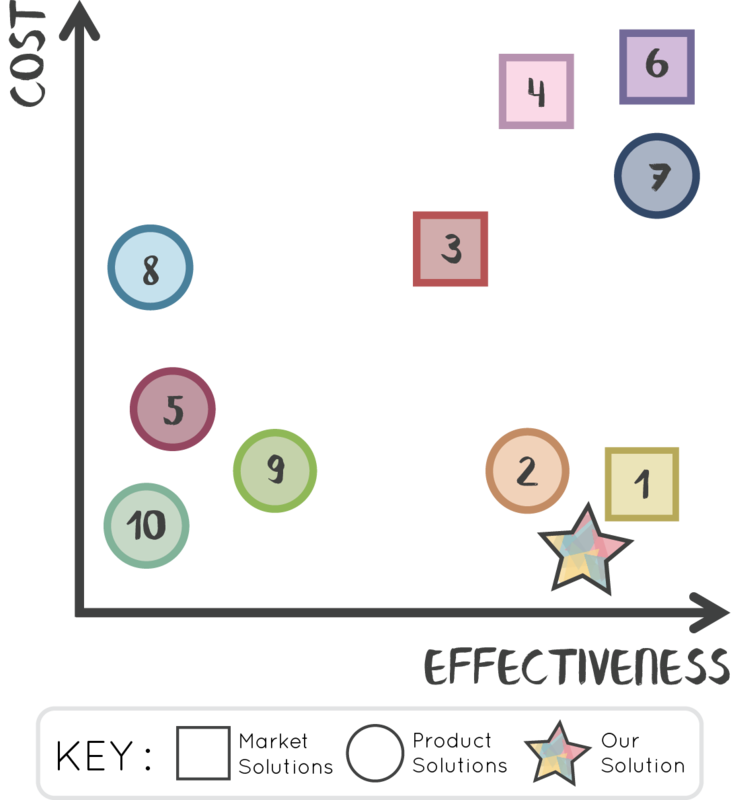 The full analysis of how different government schemes (as in 6 of the potential solutions graphs) is below on the clickable world map. Focusing more on solutions which are accessible to us, we thus prioritised an open-source business model that aligned with an overarching aim of maintaining an international collaboration and keeping our data and findings free to be used. An overall theme from above is simple upfront costs. The best way for us to help in reducing these costs is not so much approaching it through an avenue that tries to remove those costs all together, but in a way where we provide a cheaper alternative once certain costs are made. For example, rather than going through the litigation process of reducing the costs of Good Manufacturing Practice approval processes, or by investing into creating a new trading platform for public investment, we are providing a simple to produce insulin for up and running manufacturing plants to take on, or for manufacturing plants to be developed to produce these insulins. We have specifically designed our expression systems such that there are three locations where the insulin will be accumulated. In E coli, we have insulin being accumulated in the cytoplasm and periplasm. In Bacillus, we hope to be able to purify straight from the media from secretory accumulation of Insulin. Through these methods we should be able to compare easily which worked, and which didn’t, and then the associated purification methods which simplified the process. Furthermore, we have designed our own single chain insulin to help remove a lot of the post-purification methods associated with getting insulin into its active form. A series of di-sulphide bonds make it quite difficult to fold properly within bacterial cells. On top of that, for Proinsulin to become Insulin, the C-chain must be removed. So, we’ve designed a single chain insulin with a small C chain linker which doesn’t need to be removed, and should also position the A and B chains more favorably to form the di-sulphides correctly. Our solution is by no means in isolation of other options also. Further down the track, following scaling up our production schemes, considerable efforts will be put into developing an open source pump to go alongside the insulins we have developed. Further efforts will then be put on to manufacturing contracts with medium-large scale plants to start pumping insulin out globally. On the side, efforts will also be put towards developing a gene therapy to ultimately cure diabetes in the mean time. From further analysis into the economic realm of insulin and diabetes, we decided to take a look at how people around the world could "afford" insulin, and which countries had individuals who could afford insulin in all percentiles of their household income distribution. 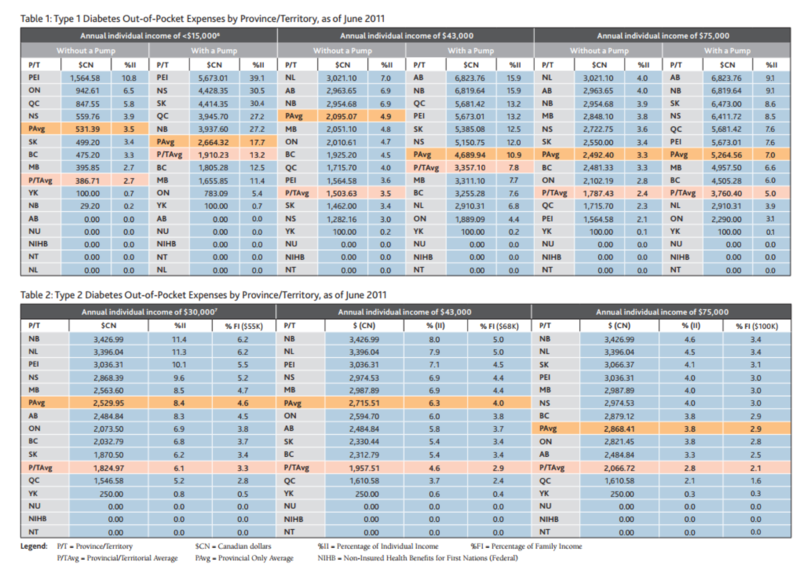 We took data from government sources which outlined how much they subsidised an insulin vial, and insulin prices of one specific analogue were found in each respective country. Household income distributions were also collated from government statistical departments. Major difficulties were found in collecting data, especially in countries that do not publicise income distributions. Insulin prices were also hard to find, which we attributed to the fact that its a prescribed item. Our results found that even without insurance coverage, Australians were able to afford insulin across more income percentiles than Americans. In Australia however, all residents are able to receive subsidised insulin. This takes all insulin prices down to just $AUD25 per month. In the USA by contrast however, you must be aligned with a certain insurance company which subsidises the insulin brand you require. Therefore, insurance premiums and rates must be paid in order to subsidise insulin. Due to the amount of variability in insurance premiums, no per month cost could be determined for US residents. Below you will find an economic analysis of different countries around the world. To find out more about their Insulin market, and how governments or insurance plays a part in covering certain costs, click on the country's dot! The United States is host to a highly regulated medical industry that relies upon the interplay of pharmaceutical corporations with insurance companies. Enormous effort and expense is required in order to gain marketing traction with the medical advisory boards that direct spending within the industry. While not technically corruption, this market inefficiency accounts for an enormous portion of the pharmaceutical cost equation - expenses that must be made up for through increased prices. The Insulin Analogue/ Biosimilar market is just one example of how this artificial price can negatively affect patients. Even considering the low minimum wage - $25 a vial is an affordable shelf price for Regular Human Insulin, so the USA gets a pass on this one. The NBC article also describes ‘black market’ trading of insulin vials, however this is just further evidence of market inefficiencies creating artificial price rises. Certain insurance companies will only cover certain insulin analogues, and consumers must turn to the internet to find an affordable alternative if an allergy prevents them from using the single subsidised brand. This has little in common with the true black-market insulin available on websites such as AliBaba which comes from anonymous suppliers and may be a sole lifeline for individuals in developing nations. It is difficult to estimate the spillover effect of the USA’s bloated pharmaceutical industry on the global price of insulin. Certainly, it is the same three companies supplying the majority of the world. They will naturally attempt to spread the incidence of their costs in America, despite the significantly lower purchasing power of these international customers. Coupled with a lack of institutional insurance or pharmaceutical benefits schemes, these secondary markets struggle to meet their national demand for insulin analogues. 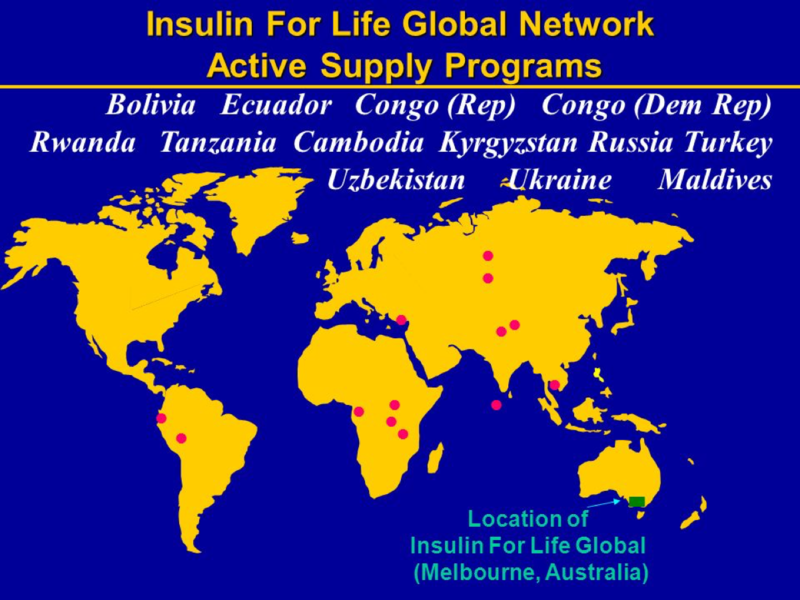 Potentially as a consequence of this demand deficiency, Regular Human Insulin is routinely undersupplied in the global market. One would typically expect generic manufacturers to meet this lack, however sufficient supply has not manifested itself in most countries. 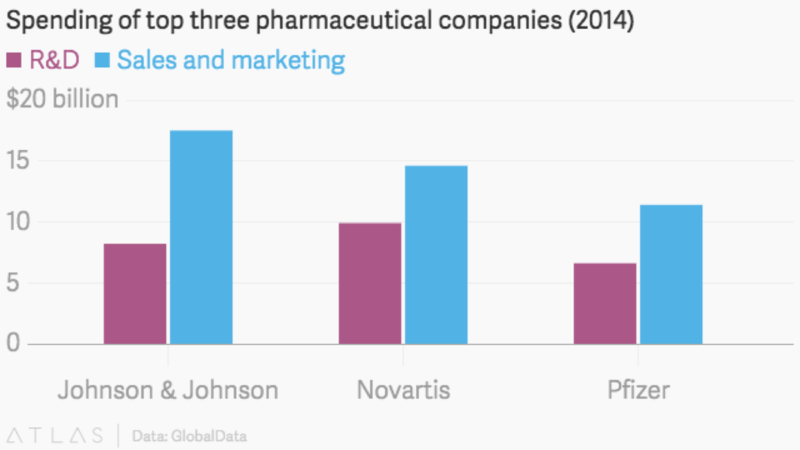 Figure 3.Pharmaceutical companies find themselves in a prisoner’s dilemma, common in oligopoly markets. Opting to increase advertising expense prompts competitors to do the same, resulting in little change in market share. However failing to respond to competitors’ can lead to a significant loss in market share. Generally the only way to rectify this without industry collusion is through government intervention with legislation that caps advertising expenditure. Figure 4.It is fair to say that corporations should be able to recuperate R&D costs through an exclusionary patent that provides the holder with a temporary monopoly. Unfortunately, the convoluted American medical system can increase this cost by an order of magnitude or more. It is incorrect to blame the pharmaceutical companies for this situation - as they are merely individual agents attempting to maximise their profits in a limited market. The only solution is market reform. An alternative, fiscally-efficient methodology would be to invest public finances in local insulin manufacturing facilities. The lack of intellectual property protection on Regular Human Insulin would allow for the Canadian government to limit the effect of the supply constraint, while boosting local industry and reducing out-of-pocket costs for Diabetics. Figure 11.The burden of Diabetes disease management rests most heavily on the poorest Canadians, costing an average of 17.7% of individual income for those who earn less than CA$15,000 (with an insulin pump). On Prince Edward Island (PEI), poor citizens can expect to fork over nearly 40% of their individual income to pay for diabetes management with a pump. Comparing this with 10% of income on PEI for management without a pump elucidates a major challenge faced by low-income Diabetics in developed nations. 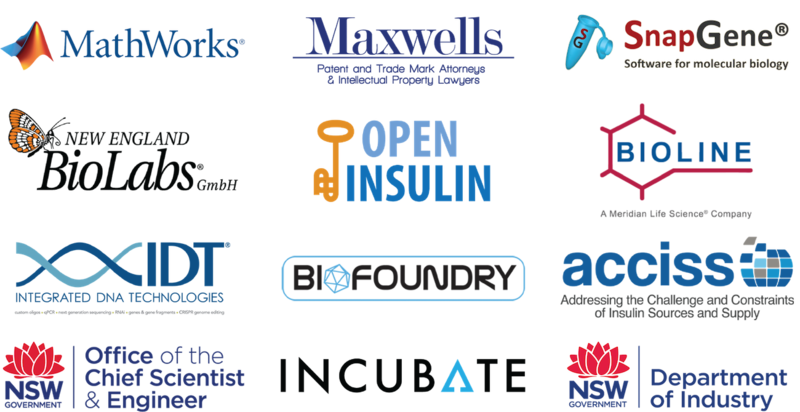 Extensive advertising expense is paid to educate health professionals and advertise to the decision makers in government to ensure the status-quo is advanced insulin pumps that only function with an expensive insulin analogue. Better control of blood-glucose and a low-input regime should not be locked behind a paywall that excludes the majority of Diabetics on the planet. There exists here an excellent opportunity for open-source science to provide an insulin pump that provides CGMitC (continuous glucose monitoring in the cloud) and is capable of dispensing a variety of Regular and Analogue Human Insulins. The BioFoundry plans on development of this pump in 2018, using the insulin produced from USYD iGEM’s bacteria! The European Union enjoys relative prosperity and easy access to insulin. Socialisation of the health care expense reduces the cost burden to the individual, and also creates a clear image of the “societal cost of Diabetes.” Rather than extensively examine the shelf prices of insulin in various EU countries, it is more important to observe the public expense that Diabetes treatment incurs. 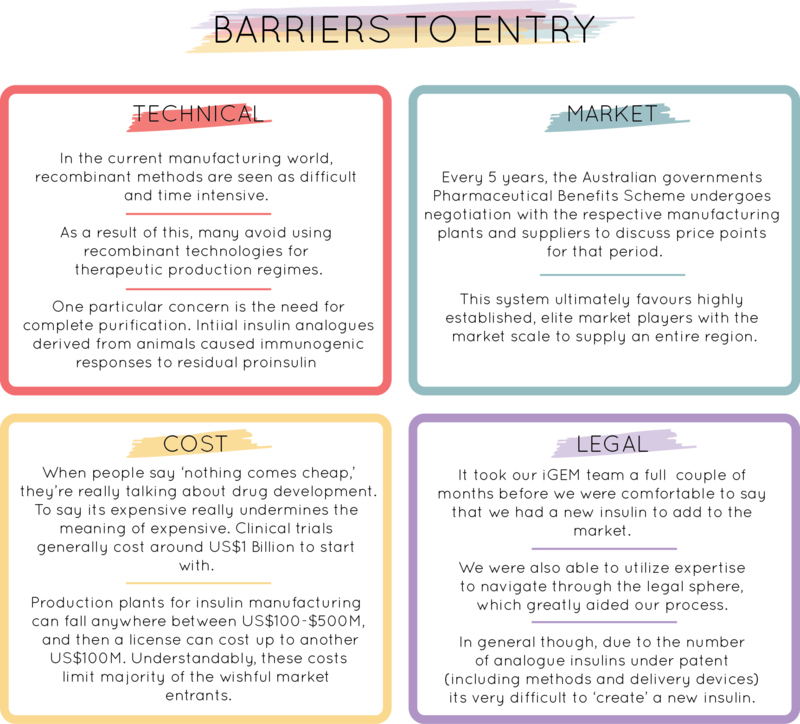 Pharmaceutical benefit schemes will often offer only one insulin brand, greatly increasing the taxation burden due to the non-competitive market. Furthermore, a lack of competitive pressure can keep prices artificially high, beyond the reach of poorer nations. Denmark: “It is very easy, Danish hospital system. Average cost of Treatment without inpatient care = €840/monthly and €2,772/monthly with inpatient care. Diabetes results in 6-23% greater costs. 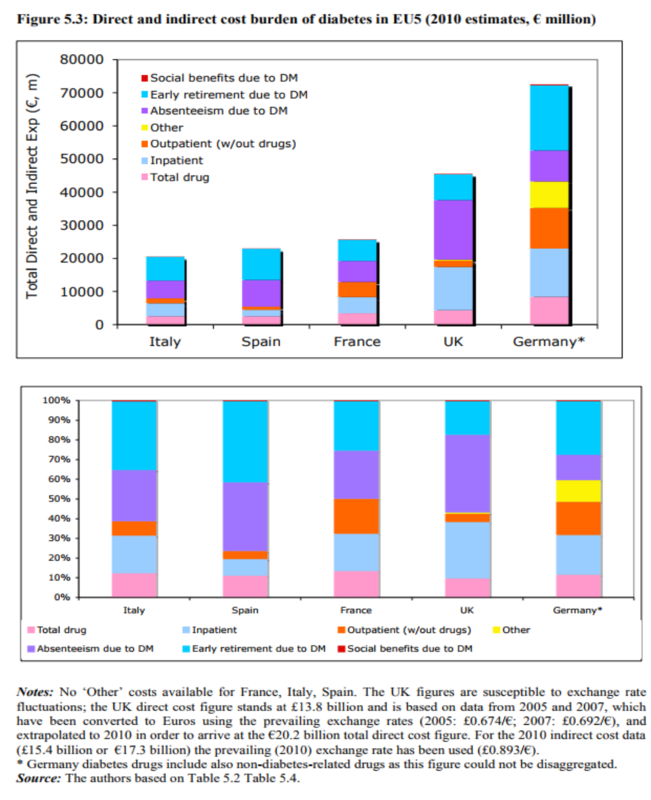 Treatment costs range from €2,100 - €9,767. Erectile Dysfunction - Approximately 32% of Type 1 male patients and 46% of Type 2 male patients suffer from erectile dysfunction. Tonghua Dongbao Pharmaceutical - 367.2 million yuan ($59.21 million) to build a new 44,000-square-meter facility. China's Zhuhai United Laboratories said in 2011 that it planned to invest ¥1 billion ($151.4 million) in a new insulin plant that would provide for 10% of the country's insulin market. Eli Lilly spent $350 million to expand its insulin cartridge manufacturing in China. Merck KGaA (Germany) said it would invest €80 million ($107.67 million) to produce Glucophage, Concor and Euthyrox and will be its second largest in the world. Figure 5.According to the World Bank; “China has shifted from a centrally-planned to a market-based economy and has experienced rapid economic and social development. GDP growth has averaged nearly 10 percent a year—the fastest sustained expansion by a major economy in history—and has lifted more than 800 million people out of poverty.”  A great deal of this growth can be attributed to intelligent government investment in burgeoning industries, compatible with the strategic opinions of Keynesian Economics. The rapid growth in the insulin market can be attributed to improved healthcare, diabetes awareness and the changing lifestyle conditions associated with prosperity. 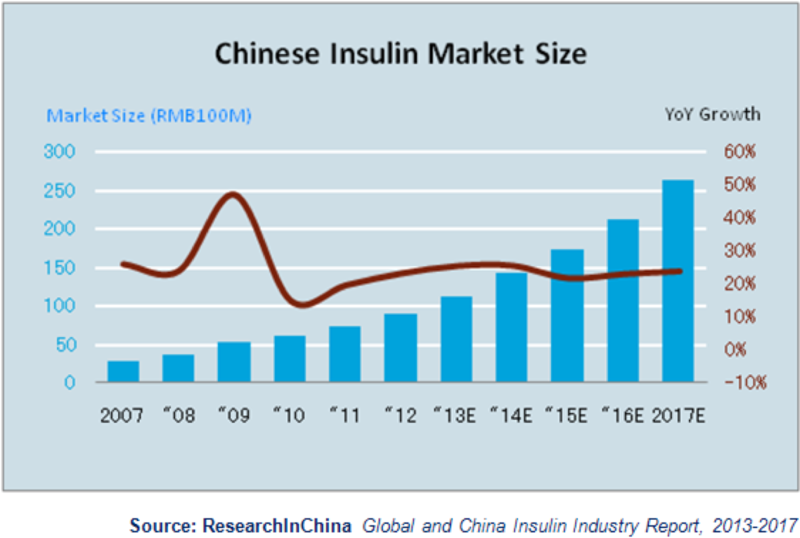 Further directed national investment could set the Chinese market on the path towards insulin independence, and eventually China may become a net exporter of the drug. Insulin in India is heavily subsidised by the government, however this comes with a significant drawback. The public burden for insulin subsidies in 2016 was 4.7x the allocated budget and growing at a rate of 20-30% per year. Advertising to doctors by major pharmaceutical companies encourages the use of a multiple-insulin regime, despite the additional expense this engenders. “Domestic companies make investments in the country and build facilities and the government is favouring multinationals by giving a higher price to imported products. They are enjoying huge premiums." The Philippines Department of Health has started an Insulin Access Program in 2009, however cheap insulin is only available from a short list of government sponsored hospitals. When available, the subsidised price is 500 Philippine Pesos (~$US10). For many in the market, this simply hasn’t been an option until now. It is likely the government can’t afford the expense to expand access. Otherwise more work needs to be done to raise awareness of the program and the possibility of switching insulins. The Philippines is expected to have one of the highest rates of newly diagnosed diabetics by 2025, prompting the government to investigate further options. The national insurance system does not allow comprehensive coverage of diabetes management, is only limited to certain household members, and provides limited medication coverage. “Out-of-pocket” health care continues to be the main mechanism of patient–doctor relationship and compensation. Metformin and sulfonylureas are the most commonly prescribed medications due to their availability and cheaper cost. SciLin R is an available generic from Singapore, but at $262 yearly expense - it is far from the price of generics in other countries. Figure 7.Insulin Price after government subsidy under the Insulin Access Program from the Philippines Department of Health. Citizens outside of major urban areas report difficulty gaining access to this program. Another problem stems from ‘counterfeit’ insulin (and other medications), as it can make the patient even more sick and directs them away from actual medication. The lack of government resources to invest in large-scale manufacturing makes Tanzania an ideal location to attempt the ‘bathtub insulin’ business model - however, as discussed elsewhere, this would be a regulatory nightmare. Once again, the burden of action lies upon the Developed world to introduce efficiency into the manufacturing chain of this essential medication. Figure 14.Insulin and self-monitoring of blood glucose (test strips) account for the majority of a Diabetic’s medical expenses. The paper states that “Approximately 68% of the participants in our study were of low or very low economic status. To save money, these individuals may use their supplies inappropriately (e.g. they may reuse disposable supplies, use lower doses of medication or perform SMBG less often than recommended by clinical diabetes monitoring and treatment guidelines).”  In addition, the authors suggest another very real danger implicit in patient’s spending so much on supplies; “more money is being spent on SMBG supplies than on physician and dietitian consultations and nurse counselling. These findings point to the need to pay greater, more logistical and financial attention to the integral health assistance model, which involves investing in a multidisciplinary team and focusing on health education and on the rational and effective use of the procedures and technologies available.”  High insulin costs don’t just undermine the ability of diabetics to treat their condition, they also undermine the very medical industry that attempts to protect those with Diabetes. Australia has one of the world’s most well funded ‘Pharmaceutical Benefit Schemes’ - which ensures cheap medication at the cost of an exacerbated tax burden due to the non-competitive market. As such, the overall insulin expense is steadily increasing for the Australian government. Even with this rapid growth, it is likely that cost inflation is mitigated by contractual agreements between major pharmaceutical companies and the PBS. Figure 1. The PBS publishes a recommended ‘order of prescription’ for doctors treating new diabetic patients. The layout of this treatment is determined by PBAC (Pharmaceutical Benefits Advisory Committee) and is likely influenced heavily by cost/contractual pressures. Figure 2. Increased coverage by the PBS for Diabetes-related medications accounts for some of the price increases that can be observed. In addition, more than 100,000 Australians developed diabetes in the last year alone (2016). This would only contribute to a portion of the 200% increase in insulin expenditure described by the PBS - a direct impact of rising insulin prices on Australia’s taxation burden. As such, improving access to insulin and limiting the rise in price would provide a very clear benefit for developed nations as well. Diabetes New Zealand recently reported that; “The number of New Zealanders living with diabetes has doubled from 125,000 to 250,000 in the past 10 years, with 40 new diabetes diagnoses every day.”  What’s more, they go on to estimate that “1.1 million people have pre-diabetes and a high risk of developing the condition.” Similar to Australia, NZ’s PHARMAC is a pharmaceutical benefit scheme that reimburses a significant portion of medication cost to the consumer - shifting the cost to the taxpayer. 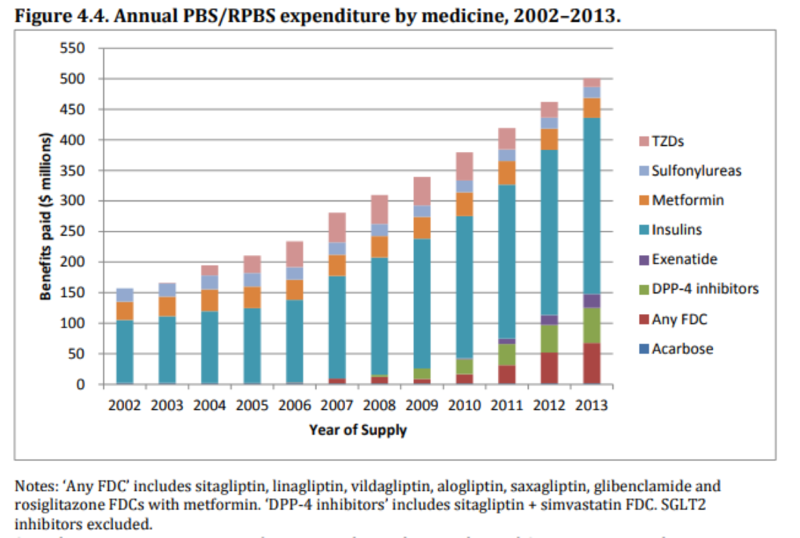 In a statement inviting public comment on the usage of biosimilars, PHARMAC notes the advantage they might provide: “Biosimilar competition for insulin glargine presents PHARMAC with an opportunity to reduce the costs of insulin glargine and improve health outcomes for New Zealanders.” Figure 12: While the cost per vial of Insulin glargine to PHARMAC is not readily available, the use of biosimilars can offer the New Zealand Government a significant reduction in expenditure. Such an integrated approach that involves public discourse and institutional reform provides an excellent example for the rest of the world. Lewis, D. (2017). OpenAPS.org – #WeAreNotWaiting to reduce the burden of Type 1 diabetes. [online] Openaps.org. Available at: https://openaps.org/ [Accessed 19 Oct. 2017]. Heinemann, L., Khatami, H., McKinnon, R. and Home, P. (2015). An Overview of Current Regulatory Requirements for Approval of Biosimilar Insulins. 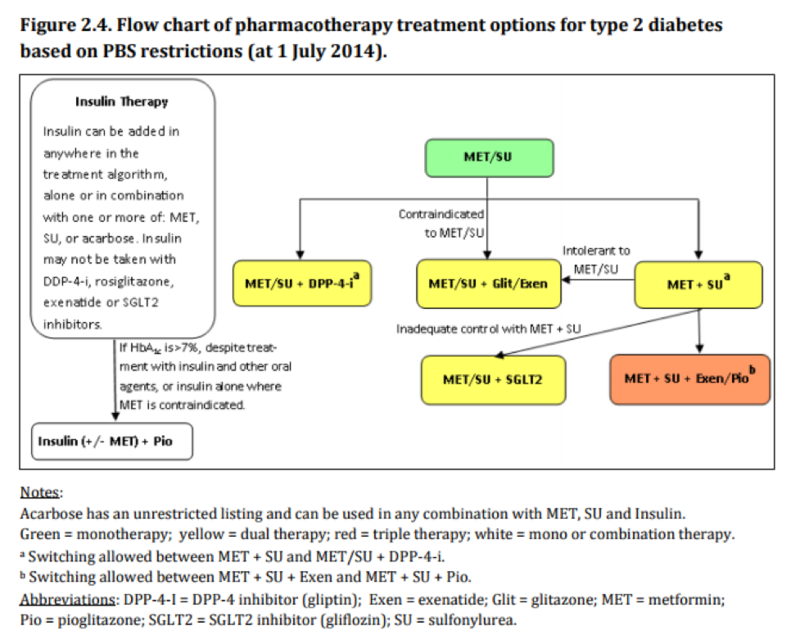 Diabetes Technology & Therapeutics, 17(7), pp.510-526. BioFoundry Oligo2Insulin team brainstorming early 2017, eventually put aside due to risk. Malhotra, H. (2011). Biosimilars and non-innovator biotherapeutics in India: An overview of the current situation. Biologicals, 39(5), pp.321-324. Beran, D. (2011). Improving access to insulin: what can be done?. Diabetes Manage. [online] London: Future Medicine Ltd, pp.67–76. Available at: http://apps.who.int/medicinedocs/documents/s18773en/s18773en.pdf [Accessed 20 Oct. 2017]. Kushibiki, T., Okawa, S., Hirasawa, T. & Ishihara, M. Optogenetic control of insulin secretion by pancreatic [beta]-cells in vitro and in vivo. Gene therapy 22, 553-559, doi:10.1038/gt.2015.23 (2015). Mojibian, M., Glavas, M. and Kieffer, T. (2016). Engineering the gut for insulin replacement to treat diabetes. Journal of Diabetes Investigation, 7, pp.87-93. Zhang, Z., Davidson, L., Eisenbarth, G. and Weiner, H. (1991). Suppression of diabetes in nonobese diabetic mice by oral administration of porcine insulin. Proceedings of the National Academy of Sciences, 88(22), pp.10252-10256. PBS (2014). Post-Market Review of Products Used in the Management of Diabetes. Part 3: Type 2 Diabetes Medicines. [online] Available at: http://www.pbs.gov.au/reviews/diabetes-files/final-medicines-report.pdf [Accessed 2 Oct. 2017]. Diabetesaustralia.com.au. (2017). Diabetes in Australia. [online] Available at: https://www.diabetesaustralia.com.au/diabetes-in-australia [Accessed 2 Oct. 2017]. NBC News. (2017). Desperate families driven to black market insulin. [online] Available at: https://www.nbcnews.com/business/consumer/desperate-families-driven-black-market-insulin-n730026 [Accessed 4 Oct. 2017]. ACCISS (2017). INSULIN MARKET PROFILE. [online] Amsterdam: Health Action International, pp.1-103. Available at: http://haiweb.org/wp-content/uploads/2016/04/ACCISS_Insulin-Market-Profile_FINAL.pdf [Accessed 5 Oct. 2017]. Pewtrusts.org. (2017). 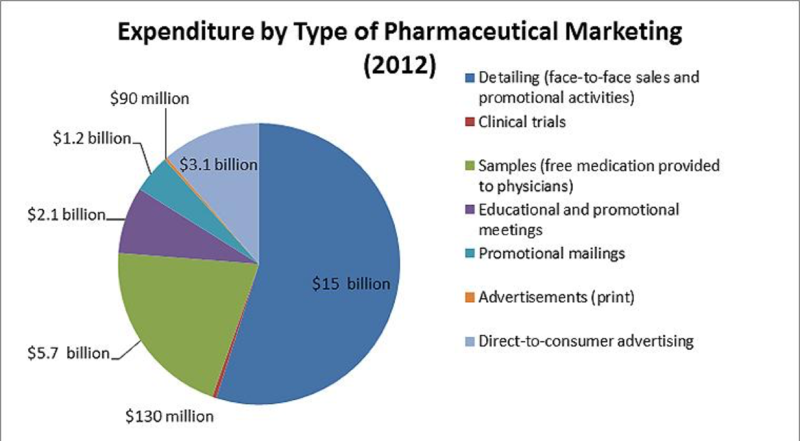 Persuading the Prescribers: Pharmaceutical Industry Marketing and its Influence on Physicians and Patients - Pew Charitable Trusts. [online] Available at: http://www.pewtrusts.org/en/research-and-analysis/fact-sheets/2013/11/11/persuading-the-prescribers-pharmaceutical-industry-marketing-and-its-influence-on-physicians-and-patients [Accessed 5 Oct. 2017]. Merelli, A. (2017). The way to fix outrageous drug pricing in the US is simply to do what all other rich countries do. [online] Quartz. Available at: https://qz.com/509344/the-way-to-fix-outrageous-drug-pricing-in-the-us-is-simply-to-do-what-all-other-rich-countries-do/ [Accessed 7 Oct. 2017]. Research in China (2013). Global and China Insulin Industry Report, 2013-2017. [online] Available at: http://www.researchinchina.com/Htmls/Report/2013/6783.html [Accessed 7 Oct. 2017]. Fiercepharma.com. (2017). Chinese drugmaker to build $60M API plant | FiercePharma. [online] Available at: http://www.fiercepharma.com/supply-chain/chinese-drugmaker-to-build-60m-api-plant [Accessed 7 Oct. 2017]. World Bank. (2017). Overview. [online] Available at: http://www.worldbank.org/en/country/china/overview [Accessed 10 Oct. 2017]. The Times of India. (2017). Yearly spend on diabetes is Rs 1.5 lakh crore, rising by 30% per annum - Times of India. [online] Available at: https://timesofindia.indiatimes.com/india/Yearly-spend-on-diabetes-is-Rs-1-5-lakh-crore-rising-by-30-per-annum/articleshow/50909542.cms [Accessed 10 Oct. 2017]. Life-saving insulin largely unaffordable- A one day snapshot of the price of insulin across 60 countries. (2010). Essential medicines and pharmaceuticals policy. [online] World Health Organisation. Available at: http://www.wpro.who.int/essential_medicines/documents/document_insulin_eli_lilly_052010/en/ [Accessed 11 Oct. 2017]. Dey, S. (2017). The bitter-sweet policy on insulin pricing. [online] Business-standard.com. Available at: http://www.business-standard.com/article/companies/the-bitter-sweet-policy-on-insulin-pricing-113020701224_1.html [Accessed 11 Oct. 2017]. Tan, G. (2015). Diabetes Care in the Philippines. Annals of Global Health, 81(6), pp.863-869. Manait, M. (2017). 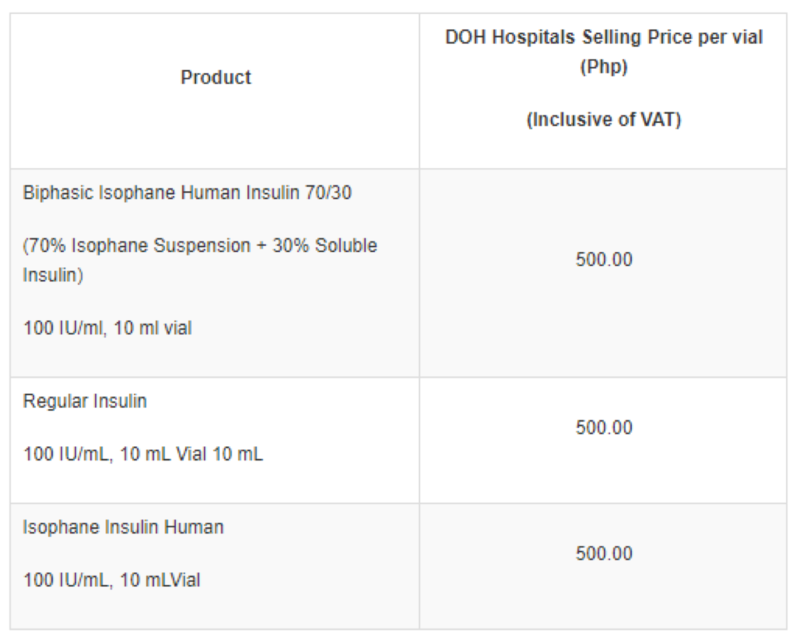 DOH Insulin Access Program - Get The Cheapest Insulin In The Philippines!. [online] Thesweetliferunner.blogspot.com.au. Available at: http://thesweetliferunner.blogspot.com.au/2013/08/doh-insulin-access-program-get-cheapest.html [Accessed 12 Oct. 2017]. LSE Health (2017). 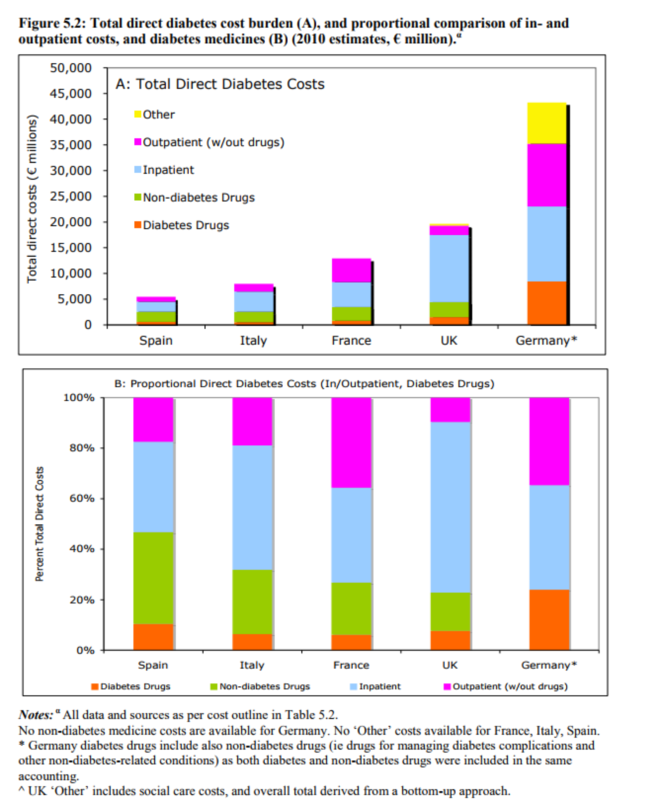 Diabetes expenditure, burden of disease and management in 5 EU countries. [online] London School of Economics. Available at: http://www.lse.ac.uk/business-and-consultancy/consulting/assets/documents/diabetes-expenditure-burden-of-disease-and-management-in-5-eu-countries.pdf [Accessed 12 Oct. 2017]. The Diabetes epidemic and its impact on Europe. (2017). [online] OECD, Danish Diabetes Association, Novo Nordisk. Available at: https://www.oecd.org/els/health-systems/50080632.pdf [Accessed 15 Oct. 2017]. The Burden of Out-of-Pocket Costs for Canadians with Diabetes. (2017). [online] Canadian Diabetes Association. 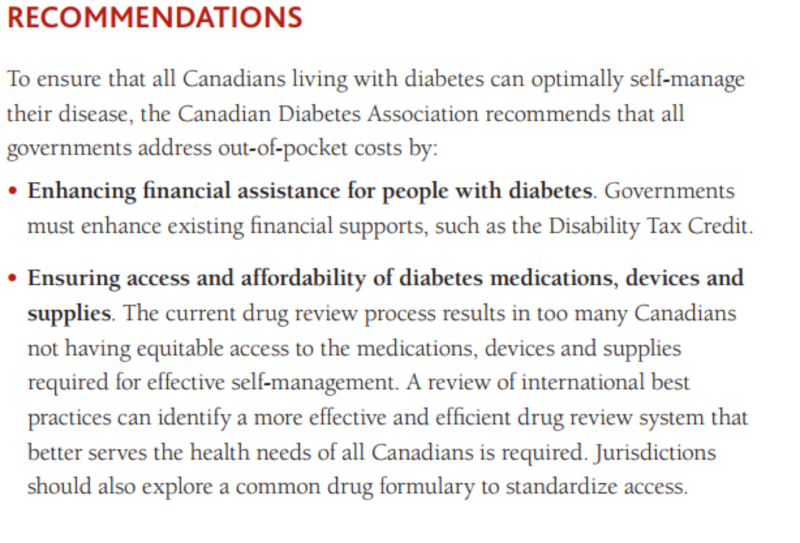 Available at: https://www.diabetes.ca/CDA/media/documents/publications-and-newsletters/advocacy-reports/burden-of-out-of-pocket-costs-for-canadians-with-diabetes.pdf [Accessed 15 Oct. 2017]. NZ Herald. (2015). Number of Kiwis with diabetes doubled in past 10 years. [online] Available at: http://www.nzherald.co.nz/nz/news/article.cfm?c_id=1&objectid=11539392 [Accessed 15 Oct. 2017]. World Health Organization. (2017). Tanzania making steady progress in access to essential medicines and health products as new challenges emerge. [online] Available at: http://www.who.int/medicines/about/country-stories/tanzania-overview/en/ [Accessed 20 Oct. 2017]. Cobas, R., Ferraz, M., Matheus, A., Tannus, L., Negrato, C., Antonio de Araujo, L., Dib, S. and Gomes, M. (2013). The cost of type 1 diabetes: a nationwide multicentre study in Brazil. Bulletin of the World Health Organization, [online] 91(6), pp.434-440. Available at: https://www.ncbi.nlm.nih.gov/pmc/articles/PMC3777141/. En.wikipedia.org. (2017). Median income. [online] Available at: https://en.wikipedia.org/wiki/Median_income#Gallup_gross_median_household_income [Accessed 23 Oct. 2017]. Gallup, I. (2017). Worldwide, Median Household Income About $10,000. [online] Gallup.com. Available at: http://news.gallup.com/poll/166211/worldwide-median-household-income-000.aspx [Accessed 25 Oct. 2017].